Listing courtesy of Berkshire Hathaway Alliance. Beautifully maintained horse property in the Rockwood School District! This updated walkout ranch home features 4 bedrooms, with the possible 5th, family room with wood burning fireplace, family room with wood burning fireplace, dining room with hardwood floor, and nice kitchen with custom maple cabinets, dental crown moulding, and solid surface countertops. There is also a finished lower level with lots of built in storage. Outside is a two stall barn with Classic Equine stall fronts and tack room, and a separate hay shed. Along the backside of the property is your own private trail for riding and the fields have been fenced and setup for rotational grazing. 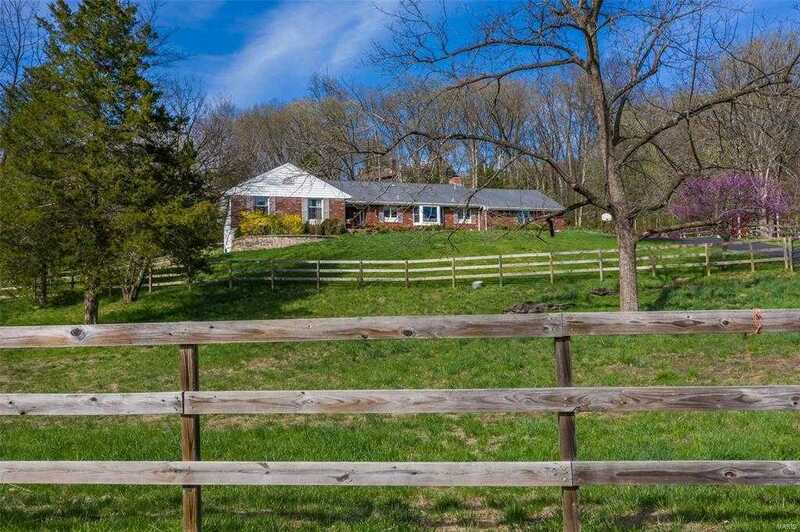 This home is a horse lovers dream and is only minutes from Babler State Park and Chesterfield Valley.